For over 20 years TechPats has been known as the “patent miners”; that is, the experts in identifying the hidden gems in your own portfolio or available in the IP market. We have provided technology support in some of the biggest patent transactions of the past decade. More recently, in a buyer’s market for patents, TechPats has helped many partners and clients capitalize on the economic pricing by identifying patents our clients find most valuable. There are many reasons to acquire patents, including monetization, defensive purposes, and future investment, and, TechPats has a wealth of experience in helping our clients mine patents for value. For most IP portfolio management programs, the goal is to mine and purchase patents that provide a solid return on investment through licensing or litigation, be it now or in the future. Moreover, we have tremendous experience supporting acquisition plans with technological expertise including Infringement Analysis (link), Validity Analysis (link), Due Diligence (link to below), or even Reverse Engineering (link), Reverse Engineering (link) and Testing and Lab Services (link). Depending on the client’s goals and criteria, TechPats can help our partners acquire patents by Mining Available Patents (link) or by Mining Another’s Portfolio (link). Because of our reputation and connections in the patent industry, TechPats is uniquely positioned to help our clients optimize sales outcomes. 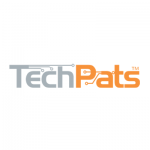 TechPats partners and works with some of the top IP and Patent Brokers in the world, for some of the biggest IP transactions of the past decade. Our professional relationship is built on respect for our complementary roles as technology experts and IP market experts. We are glad to make introductions between brokers and our partners when appropriate. We are also always eager to support patent transactions of all sizes with our technological expertise including Infringement Analysis, Validity Analysis, Due Diligence (below), Reverse Engineering and Testing and Lab Services. Due Diligence is an essential tool to reduce risk in Intellectual Property. Whether it is prior to a patent transaction, enforcement action, or other significant business or IP decision, each party likely needs an independent, unbiased evaluation of the assets involved. TechPats can complete a thorough evaluation of the involved IP or perform a targeted check-up for a particular potential issue. We are also glad to support patent transactions of all sizes with our technological expertise including Infringement Analysis, Validity Analysis, Reverse Engineering and Testing and Lab Services.